Word of mouth is starting to work for The One Stop Bug Shop though, which is great! I had my 100th customer last week, which meant a bit of bubbly with hubby. 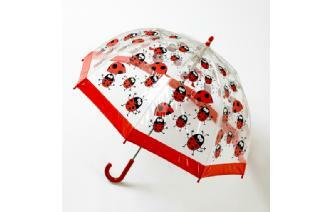 Here’s to the next 100 lovely people to take home one of our fab bug-themed gifts! Social Media – Social Whirl! Wow! I am suddenly thrown into a mad whirl of Social Media now that I have spent a bit longer on Twitter. Ok, I knew it was there, and I knew others were spending a lot of time there, but boy, did I not realise how many avenues there are to go down! I have managed to find loads of other mums with their own businesses, like me. Many are well established and showing me the way in so many ways. Trouble is, I could spend all day just on Twitter, without getting around to facebook, my once-in-a-while blog and, oh yes, my ACTUAL SHOP! Phew, now I’ve got that off my chest. Fingers are numb today from typing in a cold corner of my house, with no heating until the plumber shows up, and that’s only with fingers crossed (with difficulty) that he can fix the problem, Nevertheless it’s a beautiful sunny day in Cornwall and the view from my little window reminds me how nice it is to be my own boss, have time for the children, and to no longer be commuting in to London as I did for 8 years. Don’t get me wrong, I do miss certain things about living and working in the Big Smoke. I could pop down the road after work with friends for tapas and red wine if we needed to set the world to rights, and the public transport meant that that wine was no problem. I could go to top shows and buy all the latest fashions. Hmmm, did I actually do that when I lived there? Nope! Couldn’t face Oxford Street at a weekend, when I had time to go there, so avoided it. Anyway, there is the point that being at a desk in front of a computer is the same for all of us, whether in London, or in sunny Cornwall. However, I remain smug in the thought that I could pop down to a beautiful harbour with the kids after school and breathe in the fresh sea air any day (ok, not when it’s blowing a gale and raining sideways – which is often). This is one for the others in my situation to think about – never forget how lucky we are. Go out and look at your lovely county! Here ends my ramble for the day! Well, here we go back into it again. All new prices from suppliers mean starting again with pricing for me, but all shall be sorted very soon without too much of a hit to the customer, thankfully. I am still itching to add new lines to the shop, but need to re-stock a few favourites too. Our lovely fluffy ‘Wigglers’ – caterpillar puppets from The Puppet Company, have proved very popular since they joined us in November! I added my favourite picture as the main pic for the shop, and lo and behold, that is the style that sold out again and again! I am now going to make sure I have extra supplies of these cute characters. Most recently our bee towels have been popular – must admit they are very cute. One customer ordered one , and then another one two days later. Can’t get better praise than that! Anyway, whilst holding back on adding new stock I still have loads of ideas for diversifying buzzing around in my head and I have to keep on top of those. My notebook is full, full full and after a lovely Christmas / New Year break I am happy to be back and buzzing!